Bright lemon zest and smooth, rich cream are a match made in culinary heaven in this classic French lemon creme brulee recipe. 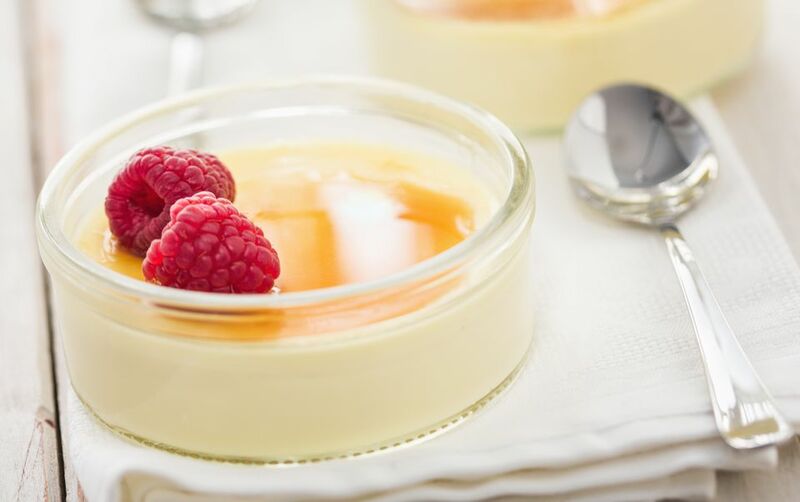 The subtle, perfumed hint of citrus adds a luscious dimension of flavor to an already delectable dessert. Finish this with a light coating of burnt sugar and a simple decoration of fresh strawberries or raspberries, and you have the ultimate dessert. Créme Brulée is best made individually, but you can ring the changes by changing the depth of the dish you make it in. A classic French brulèe is made in a shallow dish, but over time the method of making in a ramekin had grown in popularity. If you do make this in a shallow dish, reduce the cooking time by at least 15 minutes. Arrange 6 custard cups in a large pan with sides at least 1 1/2 inches deep. In a medium saucepan set over medium heat, bring the heavy cream, half and half, and lemon zest just to a boil, and then remove it from the heat. Allow it to cool on the countertop for 10 minutes. Pour the lemon-infused cream through a fine-mesh sieve into a clean bowl and set it aside for a moment. Rinse the sieve for later use and discard the used citrus zest. Whisk the egg yolks in a large bowl until they turn frothy and bright yellow. Slowly whisk 1/3 cup sugar, the lemon cream, and vanilla extract into the beaten eggs. Beat the mixture for 90 seconds. Pour the eggs and cream through a medium-mesh sieve into a large (4 cup) liquid measuring cup. Divide the mixture between 6 custard cups and fill the large pan with hot water half-way up the sides of the ramekins. Ring the changes by switching the lemon for orange or alternatively use a splash of your favorite liqueur such as a Grand Marnier Liqueur in the classic creme brulée, but note, these are not for children. Again, perhaps not one for children but great as dessert is the Cafe au Lait Brulée or a decadent splash of culinary Lavender or an extra splash of ​vanilla extract.